PWGen provides a variety of security tools including a strong random password and data file generator, master password tool, and a text encryption tool. Random number generator - the program can create lists of random characters or pass-phrases from word lists and uses mouse/keyboard activity to gather more entropy. 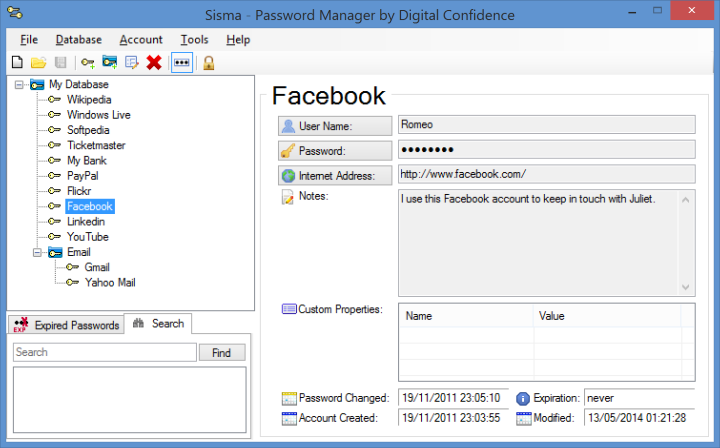 The program includes lots of features to make these passwords easy and conform to any security standard. Master password - lets you create strong passwords using two words, usually a single password with it's destination, creating strong passwords for every site ("email" is unique from "network"). It's an easy way to avoid writing down your passwords but always having them available. Text encryption - draws from any application that supports a text copy/paste to encode (using the cliboard). For both encryption and password generation, the program uses an open, standard algorithm (AES 256). Languages (additional) are downloadable from the website. How to extract: Download the ZIP package and extract to a folder of your choice. Launch PWGen.exe. New option "Specify length" for the "Include words" setting, which allows selecting passphrases with a certain length or length range; if enabled, only passphrases with lengths in the specified range will be displayed or added to the password list. Check on start-up if an instance of PWGen is already running; if so, the user is asked to close the instance before starting a new one. New option "Change font" in the context menu of the "Quick help" window. Changed hot keys for profiles (via main menu: File > Profile) from <Ctrl>+<Alt>+... to <Alt>+<Shift>+... in order to avoid ambiguities with the <AltGr> key in Windows, which is frequently used to access special characters on non-English keyboard layouts (<Ctrl>+<Alt> = <AltGr>). Password option "Include at least one lower-case letter" did not work for phonetic passwords with mixed-case letters ("<phoneticx>" character set) (setting was ignored). Why was Gaijin.at Password Generator removed from the database? I have just tested it and it seems to be really portable. PassworG is a password generator and reviewer. You can check the password strength of your own passwords, as well as tricks to help improve it. When generating passwords, you can choose the allowed characters, length, number to generate, and whether to make the results 'readable'. It then gives you your possible passwords, plus an idea of their quality. How to extract: Download the ZIP package and extract to a folder of your choice. Launch PassworG.exe. Writes settings to "config.dat" file, in application's folder. Secure Password Generator allows you to create random secure passwords. You can use lowercase, uppercase and special characters, numbers and user-defined characters. You can choose the length and the quantity of generated passwords and save them to a text file. Note: Main site offline -- linking to archive.org and softpedia for the download. How to extract: Download the RAR package (can be opened with 7-zip) and extract to a folder of your choice. Launch securepg.exe. Scroll down and click on the Скачать tab. Password Generator can create secure and easy to read and remember passwords by using vowels and consonants, as well as separate syllables. The program can quickly generate passwords based on user input or from other specialized password templates, including WEP and WPA2 keys for Wireless LAN. Generates 1,000 passwords at once and save them to a plain text file, and can analyze the relative security of a given password. Passwords for UNIX, PHP and .HTACCESS (DES, MD5 and SHA1) can be created, including a DES salt. If the program launches in German, choose "Extras" from the menu, select "Sprache / Language", and then choose "English"
At the calculation of the DES-value of a password now an optional Salt-value can be specified. A language file for Greek was added. Several placeholders could be used now, which are replaced before the password creation. For example, the current second or the day of the year flow into a password. In the settings the guidelines for the password check can be adjusted. The default language was changed from German to English. This also applies to missing translations in other languages. Various changes to the user interface. Default language is English (see changelog). You can delete step 3 of how to extract. "Default language is English (see changelog). You can delete step 3 of how to extract"
German seems to still be the default. Omziff is a security tool with a variety of functions including encryption, random password generation, file splitting and simple file shredding. 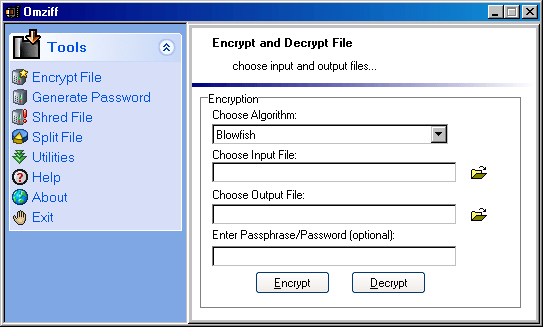 Available encryption algorithms include Blowfish, Cast128, Gost, IDEA, Misty1, AES/Rijndael and Twofish. How to extract: Download the ZIP package and extract to a folder of your choice. Launch omziff.exe. 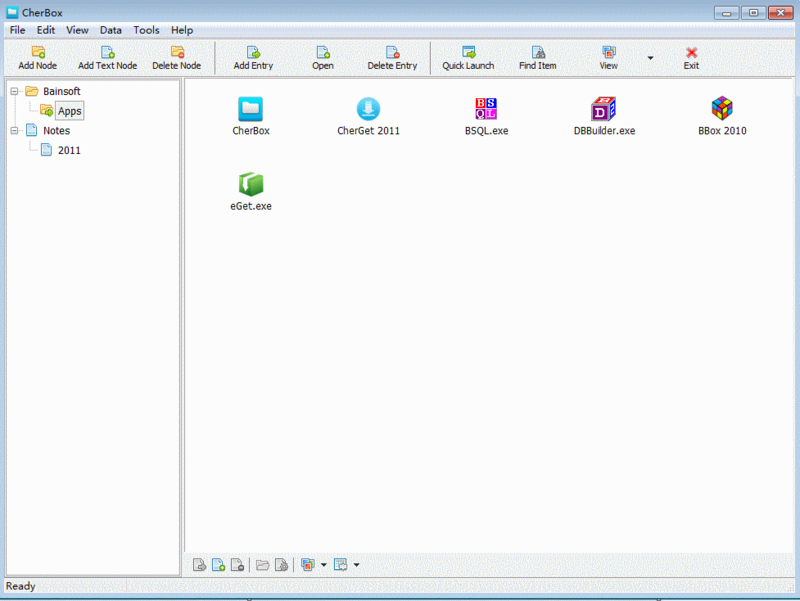 Cherbox (formerly BBox) unites several different components including a program launcher, file organizer, as well as bookmark management and password manager tool. The window allows you to organize elements into drag-and-drop categories and hierarchical grouping to reduce clutter. Note: The program has an internal password generator and can be password-protected. How to extract: Download the ZIP package and extract to a folder of your choice. Launch CherBox.exe. BTW, current version is now 2.3 -- please update. 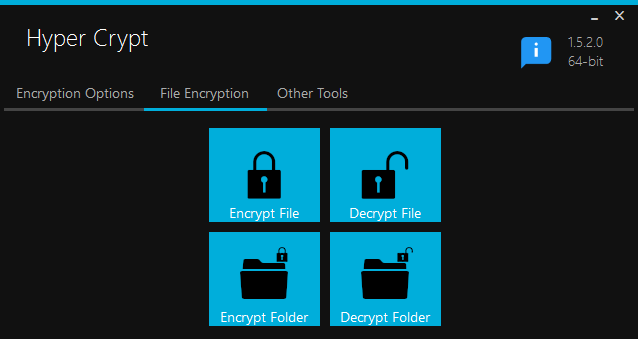 Hyper Crypt allows file, folder, and text encryption, as well as file hashing and key/password generation. Files encrypted are renamed with "_enc" addendum, while folders are not renamed. The program can encrypt files using AES-256, RSA (asymetric / public key), and One-Time Pad. Hashing includes SHA-1, 256, 384, 512, and more. How to extract: Download the ZIP package and extract to a folder of your choice. Launch Hyper Crypt.exe. Improved key strength algorithm and progress bar to show strength percentage.